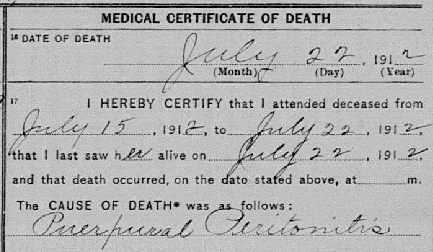 You can’t go far in reading fiction, biographies or family memoir written before modern sepsis and antibiotics without running into phrases like: “his/her mother/wife died at childbirth. . . died giving birth to . . . . died of childbed fever.” The young woman featured in my post “Coming from Turrivalignani,” is reader Toni Morre’s grandmother who married her grandfather when his first wife died giving birth to the toddler we see in the photograph. 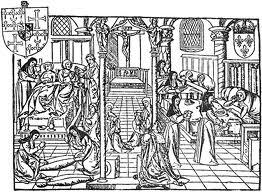 Childbed/childbirth fever or puerperal sepsis stalked women after the 17th Century, an ironically tragic side effect of the increasing professionalization of obstetrics. 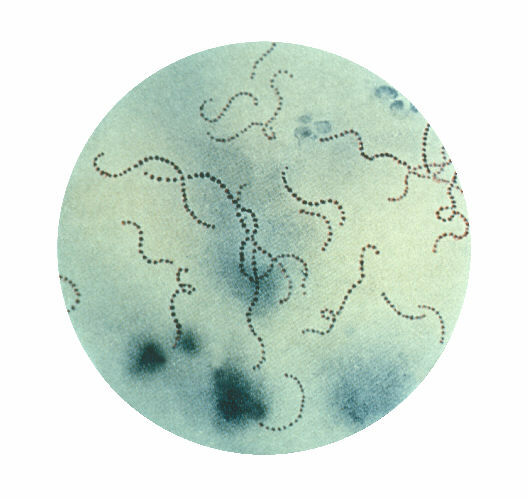 Today about three women in the U.S. die of puerperal sepsis for every 100,000 births. It was not always so. Since the first recorded epidemic at the Hôtel-Dieu de Paris in 1646, European and American hospitals saw nearly 25% mortality by childbed fever. Epidemics could sweep away nearly 100% of a maternity ward. These “modern” wards did relieve obstructed labor by use of forceps, but death came from sepsis or bacterial infection spread by contaminated instruments, linens and dressings, putting women two to the bed as you see in the “lying -in ward” here, frequent vaginal exams and. . . doctors’ hands. Doctors, in a laudable attempt to learn anatomy, often alternated births with autopsies. They wore their blood-stiffened frock coats as badges of honor as their unwashed hands carried infection from one woman to her ward sisters, many in one day. Or that’s what we know now. Then, other theories were rife: new mothers died, many supposed, because of a mysterious miasma or their disturbed mental state, or the mechanical pressure of the uterus. Some doctors, of course, intuited the cause (see little bacterial beasties in the mint-green field). Scotland’s Alexander Gordon wrote his mea culpa in 1795: “I myself was the means of carrying infection to a great number of women.” Fifty years later, the great Oliver Wendell Holmes wrote: “I had rather that those I esteemed the most should be delivered unaided, in a stable, by the manger-side, than that they should receive the best help, in the fairest apartment, but exposed to the vapors of this pitiless disease.” Washing hands with chlorine had dramatic effects, but doctors who blamed other doctors often lost friends and found ridicule. Slowly, the profession accepted mounting evidence that standard cleanliness could reduce maternity ward mortality from 18% to 3% within days. Childbed fever faded to small numbers and after 1930, antibiotics were dramatically effective in stopping puerperal fevers already in course. Until then, poor and rural women relied on midwives like Sofia who attended one woman through the birthing process and washed her hands and tools afterwards. They often had better outcomes than their sisters who opted for the “modern” hospitals and great doctors.